Girl in the Glass Planet is an aural cyberpunk fantasy where the Pied Piper meets Franz Kafka in a labyrinth of glass tunnels and grotesque alien insects. Follow Cyberia (the girl in the glass planet) as she joins Darko, Basho, and the Shinkai in hunting down Zatoichi (a god-like creature known as “the speaker-man) after he destroyed their homes and left a swarm of insectoid cyborites in his wake. His sound drives them beyond the point of madness. They’re hunting for revenge, hoping they can reach the silence at the end of the tunnel. A fast-paced surreal sci-fi thriller from the author of The Orphanarium. When a hunting expedition goes missing during a freak earthquake in the Australian Outback, the Alice Springs Police Department sends out a search team to find the missing hunters. Instead, the rescue party discovers a newly-formed canyon in the heart of the Outback. Nothing could have prepared them for the horror that awaits them as they find themselves besieged by gigantic flying monsters and mutant lizards. 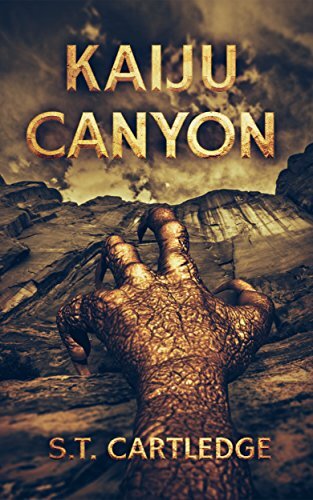 Kaiju Canyon is an action packed journey into primordial terror, where every step you take may be your last. Here lies a wild mix of collected imaginings. From dreams of watercolour samurai, to ice cream diamond bandits, to octopus gods, to burning chrome towns, close your eyes and illustrate in your own mind the madness within. There are no limits to what chaos you may see. In a world dominated by the milk industry, only one milkman remains after a terrible storm sinks all the ships and throws the Great White Sea out of balance. The storm has left HiLo, the last milkman, to endure the memories of a world that left him behind. Adrift upon a lonely sea in a lonely world, his search for food, drinkable milk, and survivors is soured by the ghosts of those he lost. But World Milk, HiLo’s former employer, left many secrets in its wake; with the company of a ghostly hologram woman, HiLo’s quest for answers might resurrect the once-glorious milk industry and return the world to creamy freshness. The day of the milkman is upon us. 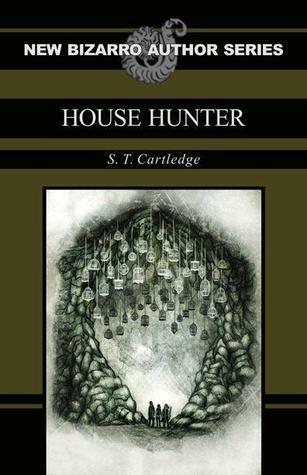 House Hunter (2012) – an urban fantasy-esque action packed Bizarro novella, published by Eraserhead Press as part of the 2012/13 New Bizarro Author Series. Brautigan for his consistently playful and arresting imagery.